Few in Congress have accomplished more than David Bonior on behalf of average Americans. Whip is the story of how he did it. In Eastside Kid, the first volume of his autobiography, former Congressman David Bonior recounted the upbringing that formed his lasting principles: love of the underdog, a passion for social justice. In Whip, he tells us how he put those principles to work as a member—and a leader—of the US House of Representatives. David Bonior spent twenty-six years in Congress, compiling a record as one of Washington’s most effective progressives. Respected by his colleagues for both his personal integrity and his legislative savvy, Bonior was elected by his party’s caucus to serve for eleven years as Democratic Whip, one step below Leader in the party hierarchy. From his arrival in Congress in 1977 Bonior was determined to make an impact. In the ‘70s he organized the effort in Congress to recognize the neglected needs of Vietnam veterans. In the ‘80s, he was Ronald Reagan’s most dogged congressional foe over US support for the Nicaraguan Contras. 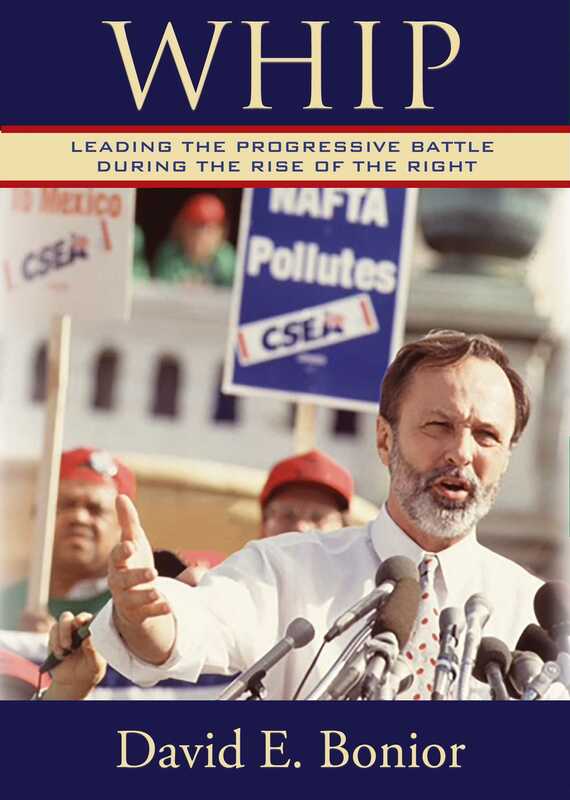 In the ‘90s he became the public face of opposition to NAFTA. No one was more responsible for the downfall of Newt Gingrich—except perhaps Gingrich himself. And when Bill Clinton finally confessed his affair with Monica Lewinsky, it was Bonior who mobilized House Democrats to resist calls for the president to resign. Fueled in equal part by his working-class values and by the zeal for competition he developed as a star high-school athlete, Bonior never failed to fight the good fight. Bonior takes us backstage at Congress, where his brilliance as a legislative tactician helped turn ideas into law. But Whip is no dry, inside-the-Beltway recitation of names, dates, and bills. We are treated to vivid portraits of the people Bonior worked with, such as Speaker Tip O’Neill and both Presidents Bush. And we learn that once upon a time, Republicans and Democrats socialized together—at the White House Christmas party and the House gym. Key to the Bonior story was his ability, as a leading progressive, to keep winning reelection in a district renowned as the home of the Reagan Democrat. We see him meeting constituents at barbecues and farms, post offices and small-town parades. And we see his trademark, the pine seedling: In his quarter-century of electioneering and outreach, he distributed a million of them. “Bonior trees” still dot his district. Extensively illustrated with 85 black and white photographs.